Luxury resorts offer sumptuous suites, heavenly spas, state-of-the-art facilities, bespoke activities and the finest dining options available — so why would you share it? Jet away on the most exclusive vacation by renting out these hotels in their entirety for the utmost in privacy and leisure. Velaa Private Island, one of the world's most romantic destinations, is nestled within the Noonu Atoll and offers 47 private villas, houses and residences, all of which have a private butler, as well as the romantic pool residence that can only be reached by boat. Guests can enjoy a completely bespoke experience with myriad activities and events on offer. From beach parties with live music to fireworks displays, a sunset cruise on the resort's private yacht and even an open-air movie night, guests are catered to their every whim. Home to the Maldives' largest wine cellar, visitors can enjoy perfect pairings with every meal, no matter which of the five eateries you choose. There's a huge range of cuisines, from pan-Asian at Tavaru to European at Aragu. Explore the surrounding ocean on board the private submarine or pick up some speed with the island's collection of water toys, which includes a hover board, jetpack and fly board, atop the waves. Alternatively, dive and snorkel to witness astounding corals and fish. 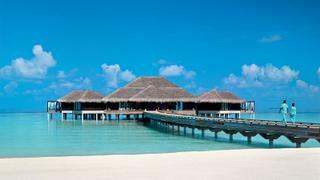 The island also boasts the Maldives' first and only snow room, which sits within the My Blend by Clarins spa. Enjoy a luxurious massage with nothing but the sound of the ocean waves in your ears. Calabash Cove has 13 luxury ocean view junior suites, four swim-up junior suites and nine cottages, which come complete with their own private plunge pools, Jacuzzi, outdoor rain shower and hammocks — perfect for a week of relaxation with your nearest and dearest. Indulge at the Ti-Spa, one of the best in the Caribbean, with body wraps or scrubs (the latter of which includes coffee, chocolate and lemon salt options), facials, reflexology therapy, massages or its signature mineral mud body mask. The spa also offers a number of couples packages, including the champagne moonlight escape — spend an evening in a beach gazebo enjoying a hot stone treatment, foot scrub, Swedish massage and a bottle of bubbly. The all inclusive offering includes all meals, drinks and snacks at any time of day at either of the two restaurants — Windsong, which boasts a sumptuous Asian-inspired menu, or the Sweetwater Bar, which serves up a range of western classics. Additionally, guests will have unlimited use of the resort’s water toys, such as paddleboards, kayaks and snorkeling gear. Calabash Cove also boasts a library, where guests can read, listen to music, play board games and watch DVDs at their leisure. Rates start from: $27,000 in the winter season (January 5 — April 15) and $19,500 in the summer season (April 16 — December 20) per night, with a minimum stay of five nights. Calabash Cove has 13 luxury ocean view junior suites, four swim-up junior suites and nine cottages, which come complete with their own private plunge pools, Jacuzzi, outdoor rain shower and hammocks — perfect for a week of relaxation with your nearest and dearest. Indulge at the Ti-Spa, one of the best in the Caribbean, with body wraps or scrubs (the latter of which includes coffee, chocolate and lemon salt options), facials, reflexology therapy, massages or its signature mineral mud body mask. The spa also offers a number of couples packages, including the champagne moonlight escape — spend an evening in a beach gazebo enjoying a hot stone treatment, foot scrub, Swedish massage and a bottle of bubbly. The all inclusive offering includes all meals, drinks and snacks at any time of day at either of the two restaurants — Windsong, which boasts a sumptuous Asian-inspired menu, or the Sweetwater Bar, which serves up a range of western classics. Additionally, guests will have unlimited use of the resort’s water toys, such as paddleboards, kayaks and snorkeling gear. Calabash Cove also boasts a library, where guests can read, listen to music, play board games and watch DVDs at their leisure. $27,000 in the winter season (January 5 — April 15) and $19,500 in the summer season (April 16 — December 20) per night, with a minimum stay of five nights. Paris makes for a fairytale European adventure away from your superyacht, and the Hotel George V can offer you the ultimate Parisian experience without sacrificing on privacy. Available from November to March, make the most of 244 rooms and suites as well as a plethora of luxurious amenities. This five-star hotel sits moments away from the Champs Elysées and boasts three restaurants with five Michelin Stars between them. Le Cinq focuses on classic French cuisine in a grandiose dining room, while Le George offers a broader Mediterranean style of cooking in a bright and airy setting. L’Orangerie overlooks the marble courtyard and has a more contemporary French menu. The spa and salon are situated on the fourth floor — an oasis of calm in a busy city, guests can enjoy signature treatments such as ‘A Stroll Through Versailles’, which consists of an orange blossom body scrub, massage and a facial. 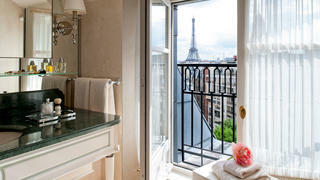 It’s the perfect treatment to relax after a day of exploring Paris. Guests can take a private car to visit the Eiffel Tower, the Arc de Triomphe, the Notre Dame Cathedral, the Château de Versailles and The Louvre museum. An excursion out to the Champagne region is a must and it’s vital to save plenty of time to hit the couture fashion houses and luxury boutiques for an afternoon of shopping. Rates start from: Available on request (minimum stay four nights). Paris makes for a fairytale European adventure away from your superyacht, and the Hotel George V can offer you the ultimate Parisian experience without sacrificing on privacy. 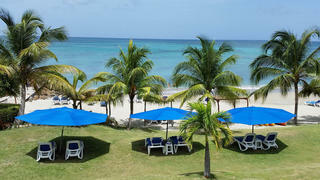 Available from November to March, make the most of 244 rooms and suites as well as a plethora of luxurious amenities. This five-star hotel sits moments away from the Champs Elysées and boasts three restaurants with five Michelin Stars between them. Le Cinq focuses on classic French cuisine in a grandiose dining room, while Le George offers a broader Mediterranean style of cooking in a bright and airy setting. L’Orangerie overlooks the marble courtyard and has a more contemporary French menu. The spa and salon are situated on the fourth floor — an oasis of calm in a busy city, guests can enjoy signature treatments such as ‘A Stroll Through Versailles’, which consists of an orange blossom body scrub, massage and a facial. It’s the perfect treatment to relax after a day of exploring Paris. Guests can take a private car to visit the Eiffel Tower, the Arc de Triomphe, the Notre Dame Cathedral, the Château de Versailles and The Louvre museum. An excursion out to the Champagne region is a must and it’s vital to save plenty of time to hit the couture fashion houses and luxury boutiques for an afternoon of shopping. Available on request (minimum stay four nights). Opt for a more adventurous destination to visit with your closest companions by taking your group to Zanzibar for a VIPs only stay at The Palms. Guests can take a Swahili or palm weaving class, as well as cooking classes using local ingredients and traditional recipes. Alternatively, the Water Club offers kite surfing, sailing, windsurfing, kayaking and paddleboarding, as well as a range of beach activities. Recover from the day’s activities at The Sanctuary Spa with a Balinese massage before enjoying a sumptuous meal either on the beach or at The Plantation House restaurant, which offers an exotic menu of fresh ingredients and seafood. The Palms is a secluded resort of just six villas, each of which has two en suite bedrooms, dressing room, an outdoor plunge pool and a private terrace. Rates start from: €28,100 for seven nights in the low season (March 16 — June 15 and November 1 — December 22) and €37,000 in the peak season (June 16 — October 31). Opt for a more adventurous destination to visit with your closest companions by taking your group to Zanzibar for a VIPs only stay at The Palms. 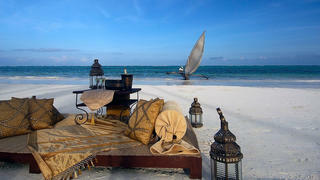 Guests can take a Swahili or palm weaving class, as well as cooking classes using local ingredients and traditional recipes. Alternatively, the Water Club offers kite surfing, sailing, windsurfing, kayaking and paddleboarding, as well as a range of beach activities. Recover from the day’s activities at The Sanctuary Spa with a Balinese massage before enjoying a sumptuous meal either on the beach or at The Plantation House restaurant, which offers an exotic menu of fresh ingredients and seafood. The Palms is a secluded resort of just six villas, each of which has two en suite bedrooms, dressing room, an outdoor plunge pool and a private terrace. €28,100 for seven nights in the low season (March 16 — June 15 and November 1 — December 22) and €37,000 in the peak season (June 16 — October 31). Head to one of the most glamorous and metropolitan destinations in the world and enjoy complete privacy as you wine, dine, shop and bar hop around the luxury mecca of Abu Dhabi. 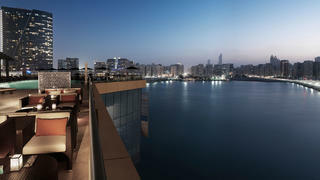 The Four Seasons Hotel Abu Dhabi is located on the waterfront on Al Maryah Island, home to the Global Market Square and The Galleria, Abu Dhabi’s most high-end luxury shopping centre. If shopping isn’t for you, play a round of golf, head out on a desert safari or take a stroll around the many galleries in the city, which is one of the top destinations visited by celebrities. The hotel has 202 rooms and suites to make use of, as well as rooftop pool, gymnasium and two chic cocktail bars. It has three high-end restaurants on site — Butcher & Still, which serves steaks cooked to perfection, Café Milano, which offers sumptuous Italian dishes and Crust, which is a haven of healthy plates from around the world. Unwind before dinner by retreating to the Dahlia Spa to make use of saunas, hammam and whirlpools. Treat yourself to a Sodashi Organic therapy, a Swiss Perfection Cellular Experience or a Dahlia Journey for the ultimate pampering indulgence. Rates start from: Available on request (minimum stay three nights). Head to one of the most glamorous and metropolitan destinations in the world and enjoy complete privacy as you wine, dine, shop and bar hop around the luxury mecca of Abu Dhabi. The Four Seasons Hotel Abu Dhabi is located on the waterfront on Al Maryah Island, home to the Global Market Square and The Galleria, Abu Dhabi’s most high-end luxury shopping centre. If shopping isn’t for you, play a round of golf, head out on a desert safari or take a stroll around the many galleries in the city, which is one of the top destinations visited by celebrities. The hotel has 202 rooms and suites to make use of, as well as rooftop pool, gymnasium and two chic cocktail bars. It has three high-end restaurants on site — Butcher & Still, which serves steaks cooked to perfection, Café Milano, which offers sumptuous Italian dishes and Crust, which is a haven of healthy plates from around the world. Unwind before dinner by retreating to the Dahlia Spa to make use of saunas, hammam and whirlpools. Treat yourself to a Sodashi Organic therapy, a Swiss Perfection Cellular Experience or a Dahlia Journey for the ultimate pampering indulgence. Available on request (minimum stay three nights).